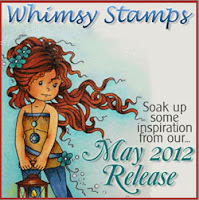 Whimsy May Stamps - NOW SHIPPING!!! *NEW Selection of Tim Holtz Distress Markers. More colours and restocks due very soon. Tilda with Star Dress and Flag or is it?